Finally, after 3 month of searching (and driving Carol crazy) I found THE car. 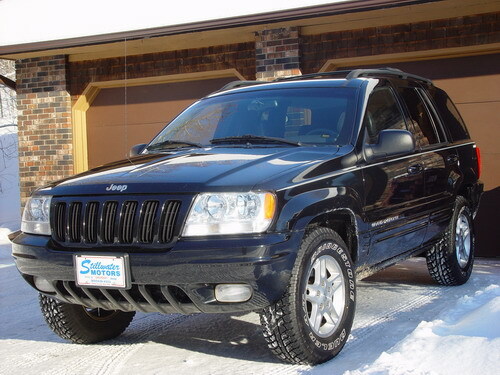 A Jeep Grand Cherokee Limited (v8, 4.7 liter). What a car guys! This puppy can tow about anything you can come up with and is probably capable of pushing the briks out of the road by simply punching the gas. 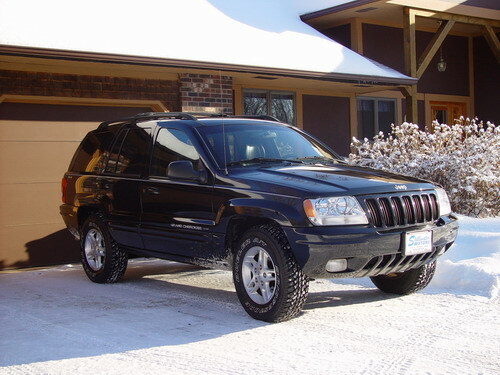 Naturally a 4 wheel drive car with ABS etc. Oh right, this car is definitly FAST ,... it won't do 200 km/h but it's defintly very fast at 100 km/h! Seats, radio, airco, computer, etc - Activated by one of the 2 remotes or by pushing 1 of the 2 buttons in the door. Go to the Top of this page or go to "SnapShots of Puck"